Pi (π) has become more than just a mathematical constant. 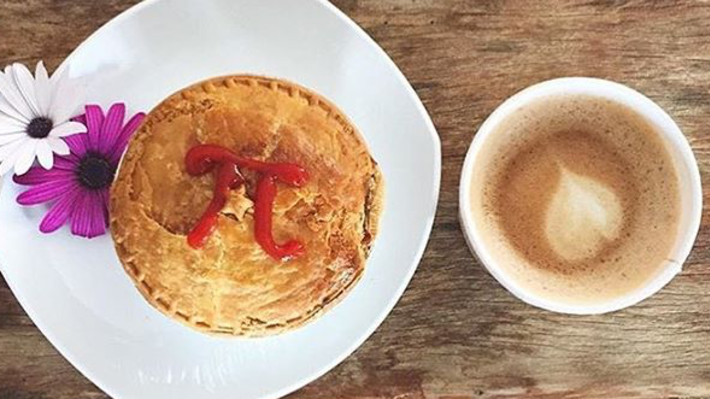 Across the country, Pi Day is annually observed on March 14, a tribute to the never-ending number (3.1415 . . .). 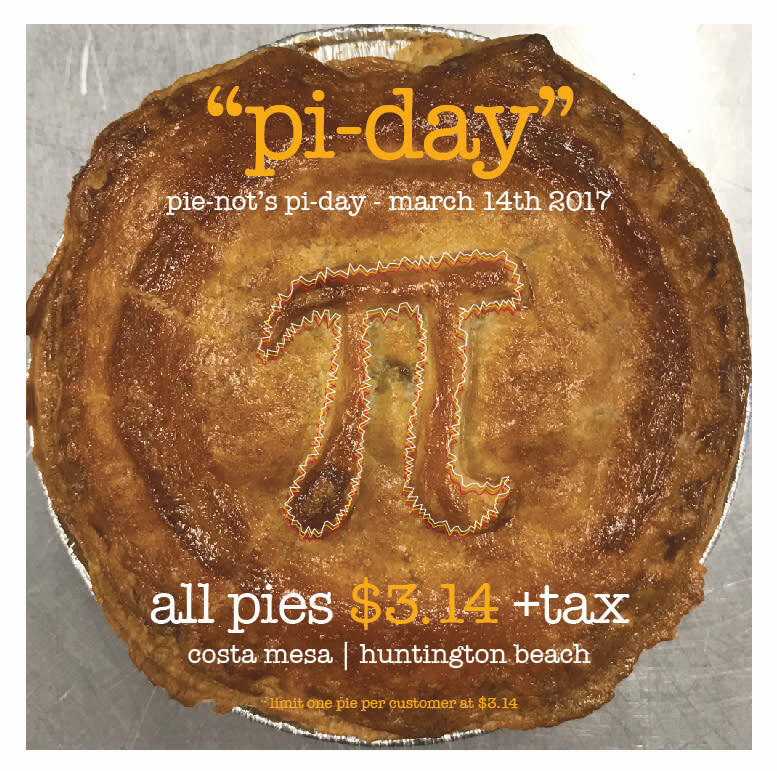 This year, Huntington Beach visitors can celebrate Pi Day in a unique way: While the rest of the world digs into a sweet slice with a fork, set aside your utensils to enjoy an Aussie-style meat pie at from Pie-Not at Pacific City for only $3.14 on March 14. 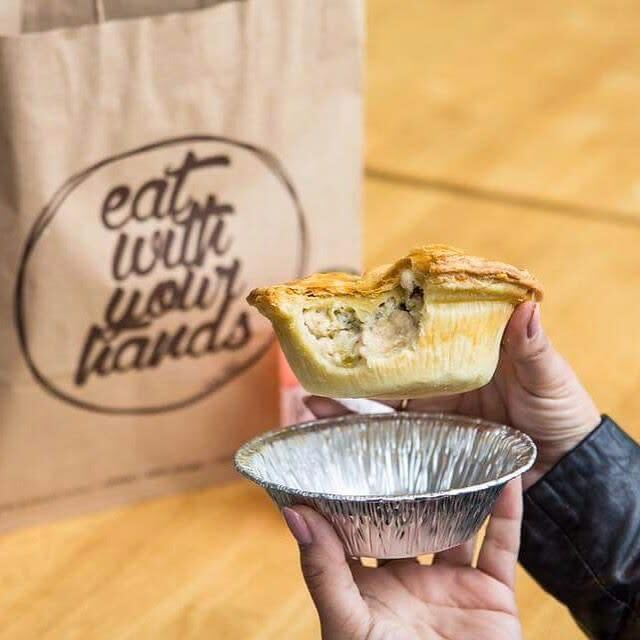 Located inside the Lot 579 food hall, Pie-Not serves up Australian pies packed with savory minced meat, gravy and veggies. Co-founder Jai Snowdon, who hails from Australia’s Gold Coast, brought the concept to Orange County in 2013 with Ryan Lopiccolo and opened the second location in Huntington Beach last year. 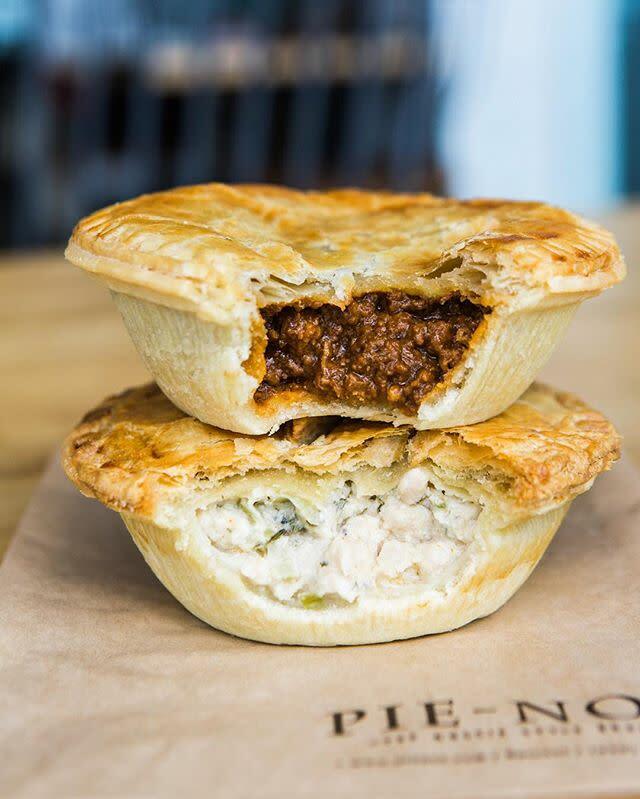 Pie-Not offers a gourmet twist on the Australian staple. 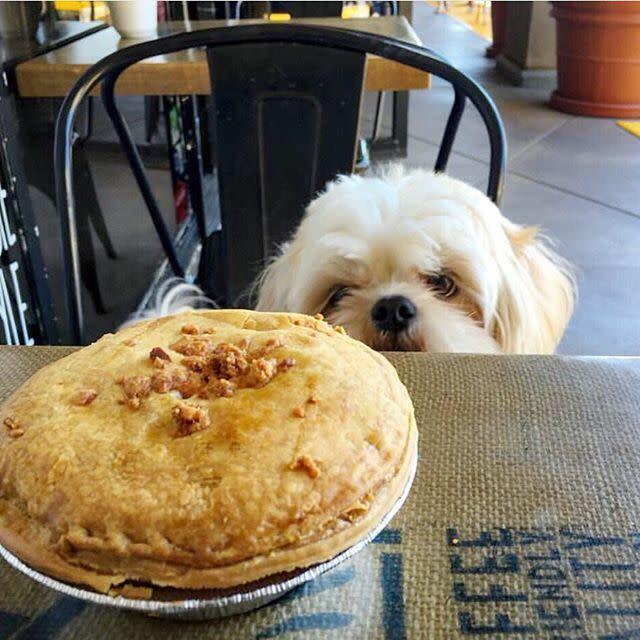 The classic Dog’s Eye is the foundation upon which most of the other pies are built, featuring pasture-raised ground beef with diced onions encased in a golden, flaky crust. 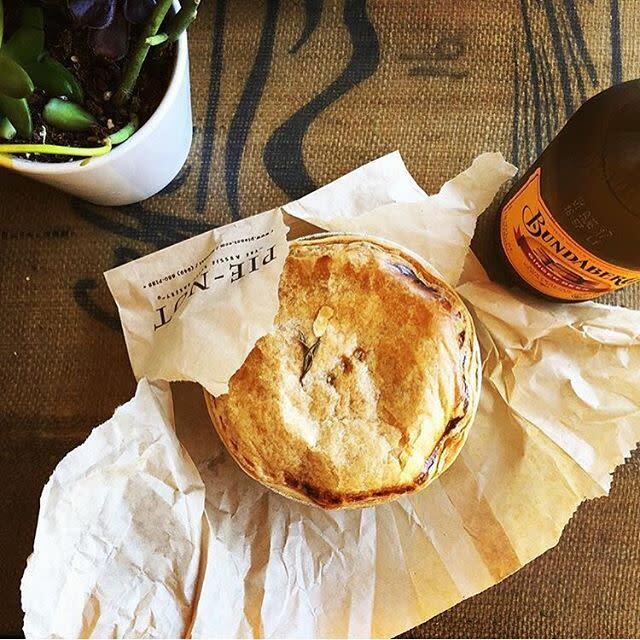 Despite a small menu, Pie-Not manages to pack in enough diverse options to satisfy every craving. Cheese and bacon lovers will salivate over the mouthwatering That’ll Do Pig, packed with a carnivorous blend of bacon bits, beef and sharp cheddar. The Drover, however, is comfort food at its finest. The savory blend of ground beef and gravy from the Dog’s Eye is mixed with carrots and peas, then topped with a mountain of fluffy mashed potatoes. On the lighter side of the menu, Sprung a Leek swaps out ground beef for white meat chicken breast and leeks doused in a creamy white wine sauce. Even vegetarians can get their fill with the Vege Patch, a pie inspired by ratatouille with tomato puree, onions, bell peppers, zucchini and two kinds of cheese all in a gluten-free crust. 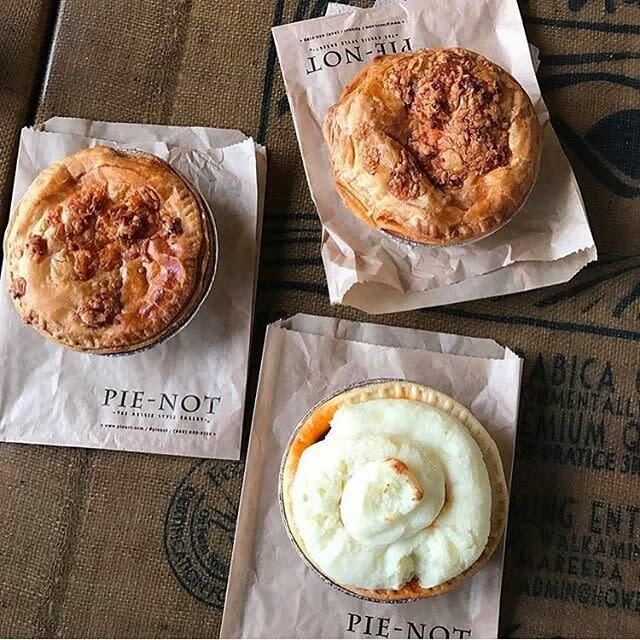 Pick your pie from the glass case and a smiling cashier will slide the piping hot tin into a paper bag. 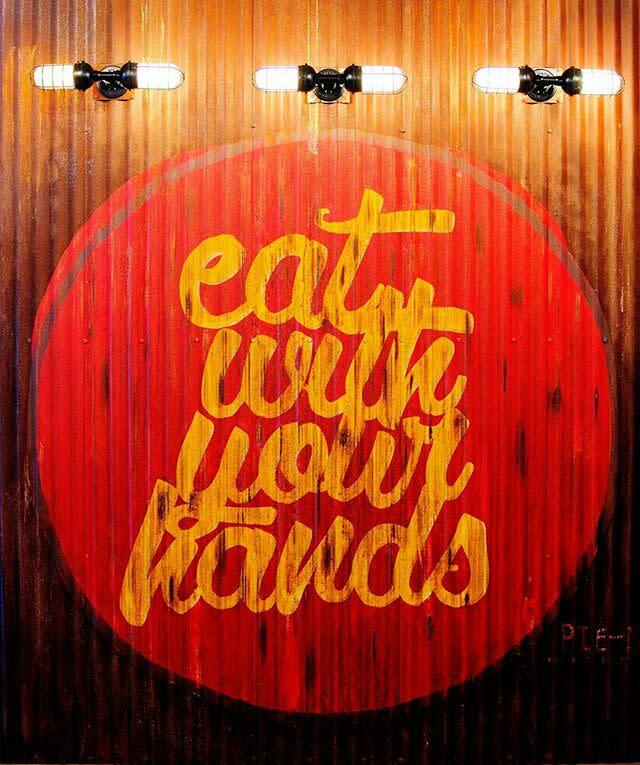 Enjoy—using your hands, of course—and wash it down with a glass of Australian wine or beer. 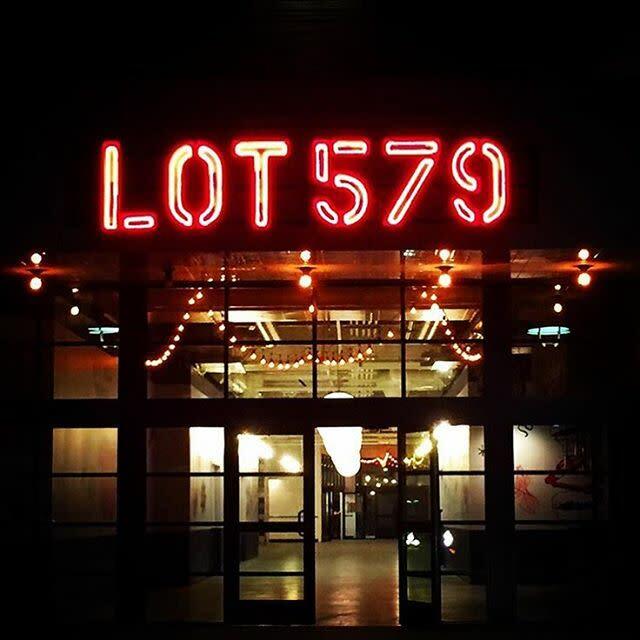 If you miss Pi Day and still want to try the Australian delicacy at a steal, stop by the Lot 579 location just before closing for a late-night happy hour special. Hot-and-ready pies are available for 50 percent off the regular price of $7.40.